This adorable heart shaped pewter box is hammered on the outside and smooth on the inside. Made in Vermont. 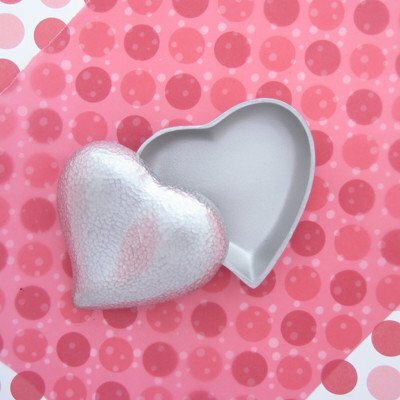 This adorable heart shaped pewter box is hammered on the outside and smooth on the inside. Handcrafted in Vermont from fine pewter. 2 1/2" wide 2 3/8" high.